Of course, if you do lease or buy a Tesla, use somebody's referral code, naturally use mine if you like, to get 1000 miles of free supercharger use. I doubt very many people will sign up for these leases at these prices. If they do, yes, it's a great deal for Tesla. But it's a great deal for Tesla because it's a rip-off for lessees. Moreover, I think Tesla is going to succeed tremendously if they can build a robotaxi in just a few years, whether they run this lease program or not. No robotaxi company is going to be creating even 100,000 cars per year, at anywhere near $35,000 a car, in just a few years. If Tesla can run a robotaxi service with its current production Model 3 cars (even if it's only with $10,000 in modifications), they're going to be an extremely successful company. I think it's hard to predict whether or not this will happen. As you point out, "Tesla Autopilot is not yet even close to where Waymo was 6 years ago." But Tesla's approach is very very different from Waymo's. Waymo is building a robocar that is meant to work only in locations where it has been thoroughly tested beforehand. Tesla, if they're actually trying to build a robocar, is apparently trying to build a robocar that works virtually anywhere that people safely and legally drive their Teslas. If they succeed, the growth will be very sudden, especially from the view of an outsider. The cars will go from disastrous performance to superhuman performance as quickly as AlphaGo (against a 9-dan without handicaps) went from disastrous performance to unbeatable performance. But it's very hard to predict when and if they will succeed. If Waymo thought the best course was to make a car that drives everywhere, they would be doing that. They have judged that what Tesla is trying -- no LIDAR, limited maps -- is too difficult. And that's even though their goal is to do very difficult things, ie. so difficult as to take much longer than their approach will take. The robocar problem is one of asymptotic approach to perfection. Any team today can, fairly quickly, get a 99.9% car. This is what Tesla has done, though it's got some advantages over the other teams trying that. But while it looks like an asymptote when viewed as a percentage of perfection, in fact it's a long crawl up when looked at as miles between mistakes. 1000 miles between mistakes looks very impressive, but it's a tiny fraction of the way to human levels of safety. I do think that Tesla, unlike Waymo, is trying to create a vehicle that can drive places that haven't been mapped. If they are smart, the vehicle will also make maps while doing that, and use them in the future. I think the way to go is to build a car that can drive without maps, and then give it maps. Once LIDAR becomes more affordable, I think the way to go is to build a car that can drive without LIDAR, and then give it LIDAR. Tesla doesn't haven't anything close to a 99.9% car. Not the one they've released, anyway. What they've released is ADAS. If a Tesla knowingly encounters a situation it doesn't understand, it makes a human take over. Do you really think a Tesla is a 99.9% car, or is that just hyperbole/sarcasm? What are the metrics, if you really think it is one? The robocar problem is one of asymptotic approach to perfection if that's the way you go about solving the problem. That seems to be way the Waymo is going about solving the problem. It may or may not be the way Tesla is going about solving the problem (it's hard to say, because what they've released so far is not even an attempt at solving the problem). That approach (of asymptotic approach to perfection) might (and might not) be of limited success. Eventually, I expect that approach to be abandoned. But I have no idea how long it will be to get to eventually. 1000 miles between mistakes is a tiny fraction of the way to human levels of safety? I think it depends on what the mistakes are. Humans make mistakes much more frequently than every 1000 miles, I think. Fortunately, our cars and roads and rules of the road are designed so that mistakes usually don't cause a crash, and even more rarely cause a serious crash. Unfortunately this makes the job of creating a robocar much more difficult. You can't just be mistake-free. You have to react safely to the mistakes of the other drivers (and pedestrians). Everybody is making a car that can drive when its map is wrong, though not all seek to make a car that can drive in a place that was never mapped. That's useful if you are a company that sells cars, like Tesla, but not if you are building taxi fleets, like Waymo. But it's a whole extra level of problem. Which is not to say it can't be done, but most people have taken the approach to start with easier subsets of the problem, and get them working, and then add other abilities, including driving off-map if that becomes useful. 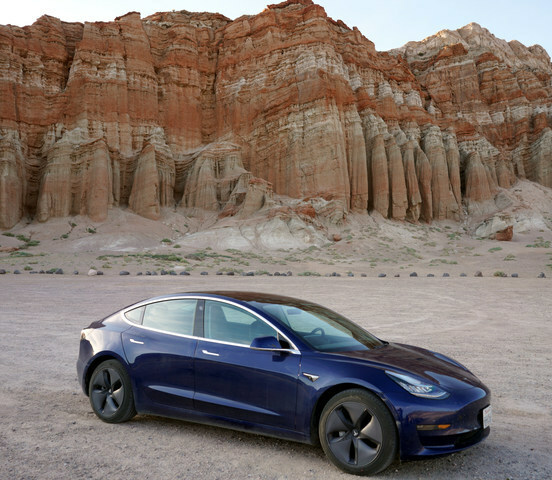 Car companies, including Tesla, can also take the strategy of doing full self drive only on a map, and doing driver assist off map, which is what Autopilot does today. Yes, when I say "mistakes" I mean mistakes that would lead to a safety incident. Humans make mistakes much more often, but avoid them leading to contact because they correct them. A robot, on the other hand, may correct the situation when it makes a mistake but the team will still consider that a serious mistake and it will be on the priority list for fixing. I don't think the ability to drive in places that aren't mapped at all is a wholly different problem from the ability to drive in places where the map is wrong (or when the car doesn't know where on the map it's located). At the very least, a car needs to be able to pull over to safety in the former case. I also disagree that a taxi service, which wants to get people to abandon their personally owned vehicles (as you claim they all must have as a goal) can limit its service location to mapped areas, any more than Tesla can. Interestingly, that presents a possible solution for robotaxi services. Why not have a steering wheel and everything to let the passenger take over in the case that they want to go somewhere that's unmapped? Does the line between robotaxi and Zipcar really have to be so strict? I guess anyone using the robotaxi to an unmapped destination would have to return the car to a mapped location, and would pay a rental fee by the hour in the mean time. But that might be a good way to bridge the gap and get more people to be willing to drop their personal vehicles. Now that I think about, that is the solution to how to get me to abandon my personal vehicles. A Zipcar that can be rented by the hour, and can come to my home/work whenever I need it. The more locations that it knows about so that I don't have to worry about parking, the better, but as long as it knows how to get to my home and work (and the airport, train station, and bus station, I guess) I think I'm good. I like the Zipcar idea. The only reason I don't use it is because of the pain it is to get to the location of the Zipcar. A Zipcar that comes to me would be perfect. Hopefully no one has patented this yet. Edit: Now that I look at it, Zipcar is too expensive for short trips. Oh well. Yes, I think I have written about that idea before. The question is whether or not your vehicle is more specialized as taxi only (ie. no wheel) and also what the cost is of taking it out of service for your trip is. But if a person says they want to travel outside the service area, they can be allocated a vehicle with controls, one that can be taken out of service for the duration of their voyage. In some cases, it could even be a one-way rental, Car2Go style. However, as noted another way to serve these customers is to taxi them to a rental vehicle (Car2Go style or Hertz style) and give them a frictionless transfer. Just get out of the robotaxi and step behind the wheel of the rental. (Tesla style, not even needing to unlock it because it was told to unlock when your taxi pulled up.) If you don't have a lot of bags this is very easy. Driving on a wrong map is quite different from driving on no map. First of all, the map has to change immensely for you to not be able to localize on it. And so the map always gives you location, and information about the things that are still there. You just have to figure out the new things, usually construction stuff. And only if you're the very first car to ever encounter it. It's a rare event. Driving without a map means needing to figure out everything, in real time, with no information to help, all the time. It's a much harder problem, and also a problem you don't need to solve today. The "zipcar that comes to you" is what I called the Whistlecar back in 2008, and yes, variants of it are in development. I'm glad to hear that some companies are already working on something like that. Hopefully it wasn't patented. Yes, if the destination is a service area, I'd expect that you can, optionally, make it a one-way rental. I'm still not sure how cheap you can make this for really short trips, though. Maybe if you have to pay a monthly fee. Except for navigation, maps are, at best, redundant. Redundancy is good. I agree that you shouldn't drive without a map *all the time*. But if you're relying on a map, then you're relying on something that isn't always going to be accurate, and that's not a good thing. If you can figure out the new things when the maps are wrong, why can't you figure out the new things when the maps don't exist? The point is that no car "relies" on the map in the sense of strictly presuming it's fully accurate. They always look at the real world and confirm it matches the map, and if it does not, they know what does match the map and what doesn't. The map allows you to decide not what's there, but what it means. For example, say there's an off-ramp. When you see it, and it's on your map, your map tells you that it's an off ramp, and where it goes, even if you can't see where it goes. A human being has confirmed that, and where the signs are and where the traffic signals are. Traffic signals are another great thing to have on your map. Your map tells you where to look for the signal and what it means. If you don't see a signal there, that tells you something. If you see signals that are not on the map, that tells you other things. Yes, you still need to see the signals that are not on the map and react to them properly, just like the car that is trying to drive without the map but you do so at a huge advantage, because the map had as much CPU as desired to build it, and human oversight of its correctness, an the real time driving car can't have those. It seems like you're agreeing that, except for navigation, maps are redundant. Yes, a map tells you where an off-ramp goes. That's navigation. Tesla isn't abandoning the use of maps for navigation. No doubt maps are helpful. Unmapped roads need to be driven very carefully. But if you can't trust the car to drive in unmapped locations, you can't trust the car. Oops forgot to log in. Sorry. Car2Go looks interesting. Too expensive to replace a personally owned vehicle, though. Not at all, and in many cities (notably in Germany) it does replace that for people. The cost is only moderately more than the cost of operating your own car, and you don't have to pay for parking. The main downside of Car2Go is that you can never be sure where a car will be. When you leave your house, it may be a 15 minute walk to find one. Thus the value of the whistlecar. Humans make mistakes much more often, but avoid them leading to contact because they correct them. I red this after the other article about Tesla prices. What I wrote is what you write here: Self Driving Vehicles (SDV) is the near future of Tesla cars. Even if Elon Musk did not say, is in his mind : people will not need to worry about how much a SDV cost, they will pay for use it. I do not know when the SDV will be ready,but when that happens, all must be have the same safe level. At some point builders must share information and opt for the best hardware and software. This will help continue and make the research cheaper to improve even more. Another point.People are not good drivers and in the future less people will learn to drive. So better not give the opportunity to drive a SDV. We are still several years away from wide deployment of robotaxi ride services, so for now, Tesla is selling cars, and they hope to add some limited self drive to them -- and claim they will do it soon, but most people are doubtful.